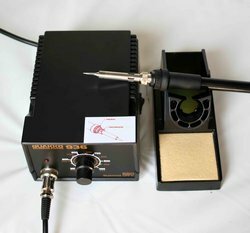 ESD SAFE SOLDERING STATION 60WYour best source for reliable DC Power Supply, call us at 408-622-9851 for product questions and ordering. 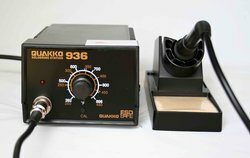 QUAKKO 936 is a brand new, anti-static, temperature controlled soldering station from QUAKKO. Unit comes with control box, soldering iron/tip and soldering iron holder. Tip included: 900M, and 10 more tips as shown on the picture.